We designed a chair. P4/5 helped us write this blog about Charles Rennie Mackintosh. I made a mirror and I bought it at the Christmas Fair. 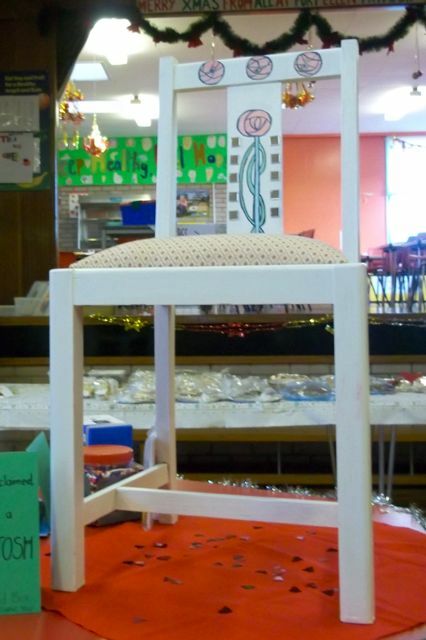 We made a chair of Mackintosh’s design. P4/5 helped us to make this blog. The chair had flowers on it and some mirrors on it. P4/5 helped us get on to Glow to write about Charles Rennie Mackintosh. I hand painted a chair and the bit I painted was a flower.